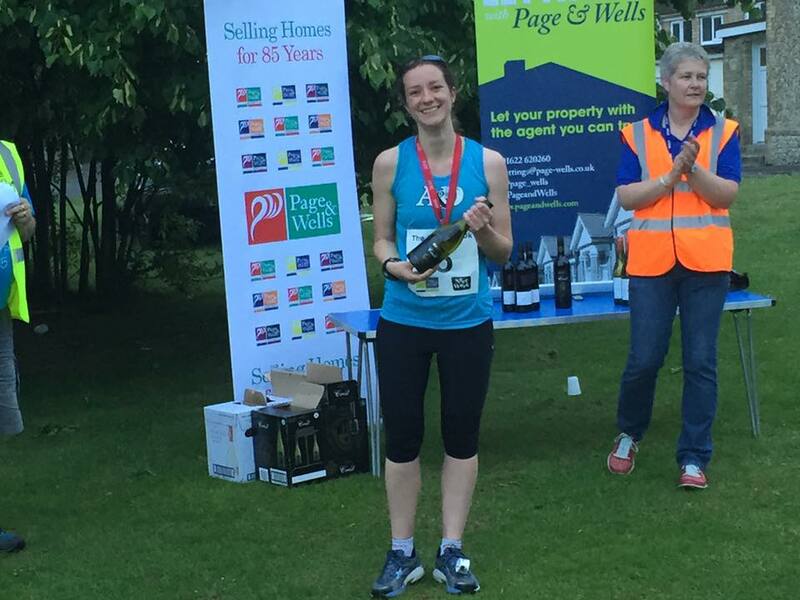 Jo Faux was the first lady home on a challenging course in the Charing 10k last Friday evening in a time of 47:22. It was a successful night for the club with 3 men in the top six laying claim to the team prize. CJ Lattimer was 2nd in a time of 36:15 (PB), Chris Boyce also PB’d in 37:54 and likewise for Matt Morgan who finished 6th in 40:05. Other club runners out there were Anthony Brown finishing in 45:20, Andrew Taylor 47:18, Rhian Shrimplin 50:04 (3rd lady) and Andrew Smith 61:56! In the Staplehurst 10k last Sunday, Scott Lynch finished 2nd and 13th overall in a new PB time of 38:00. Keith Haynes followed him home in 40:49 with Richard Baker not far behind in 41:07 (PB)! Lastly Dave Hunt ran the Liverpool Rock and Roll Marathon last Sunday (his first) which starts outside the famous Albert Docks taking in Sefton Park, Anfield and Goodison football grounds and finishing at the Echo Arena. On an undulating course against a strong headwind Dave ran an impressive time of 3:48:50!